Scotia Regnum" from Blaeu's Theatrum Orbis Terrarum, Amsterdam, ca. 1640-1660. 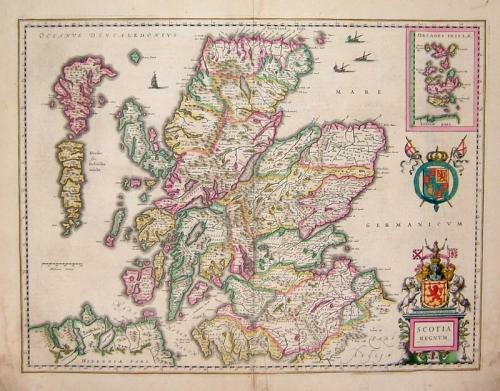 Fine map with wide margins and original hand colouring. In good condition with tape repairs at lower centerfold and lower corners (reflected in the price).